King Avenue Church is seeking a part-time finance manager. Please contact John Keeny, jkeeny@kingave.org, for more information. Are you considering what's next for you? Are you looking for a meaningful and purposeful way to give back and help provide financial stewardship to others, using your God-given talents? We are King Avenue United Methodist Church. If you would like to join us on our journey, we could use someone like you to help provide us leadership in the financial stewardship. This will be a part-time position in support of a congregation of around six hundred members with a budget of over one million dollars. Our mission statement: We invite, welcome and honor all people and nurture them to grow in service with Christ. Our vision statement: We are a community of servants called by God’s reconciling grace to open doors of sanctuary, to create new avenues of ministry, to equip Christians for discipleship, and to lead reconciling ministries. Does that sound like the kind of work that can inspire you? 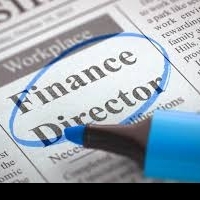 If so, we are looking for someone to be responsible for overseeing all financial aspects and reporting for King Avenue United Methodist Church. We would like to share more with you, so please contact Rev. John Keeny at 614-424-6050, ext. 102, or jkeeny@kingave.org. You can read more about our mission and our ministries at www.kingave.org.